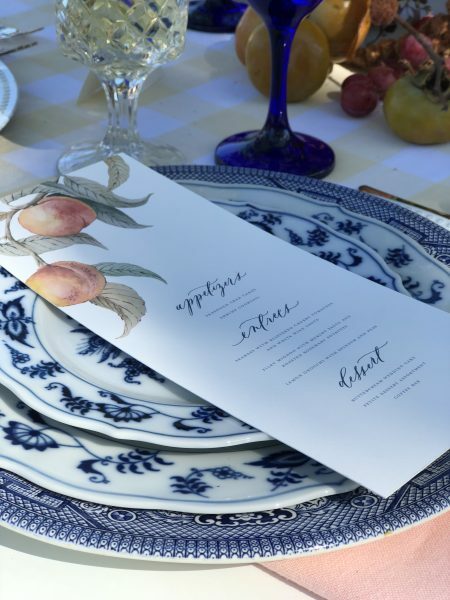 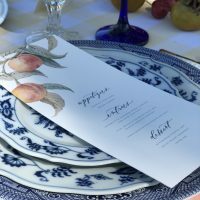 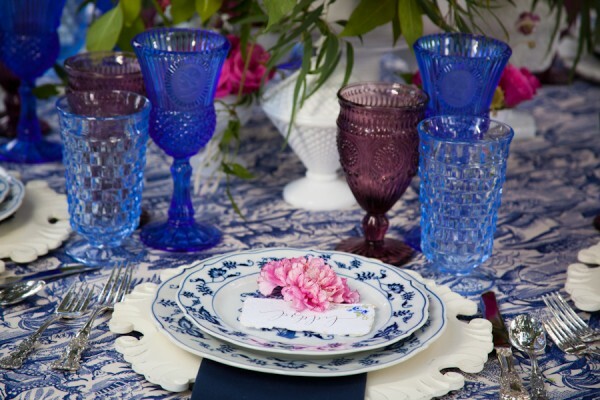 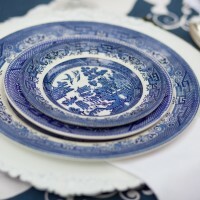 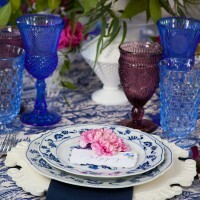 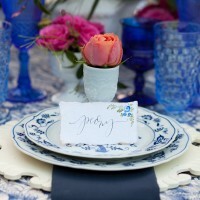 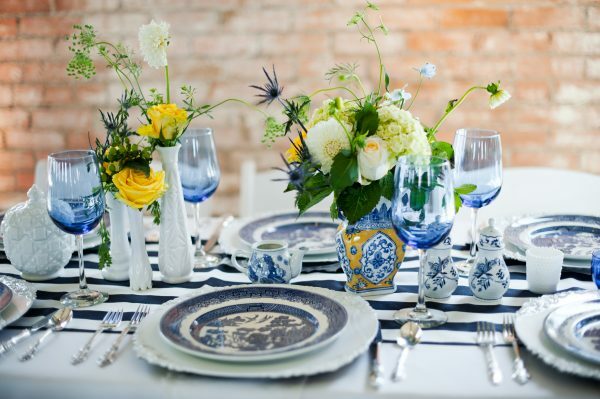 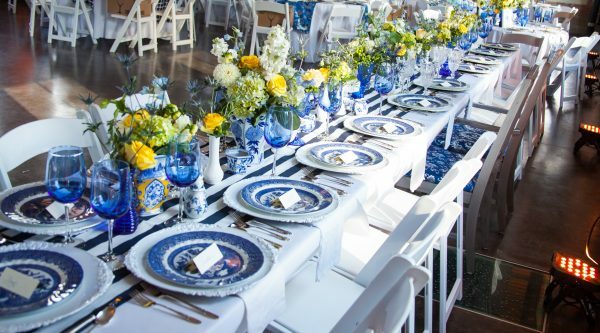 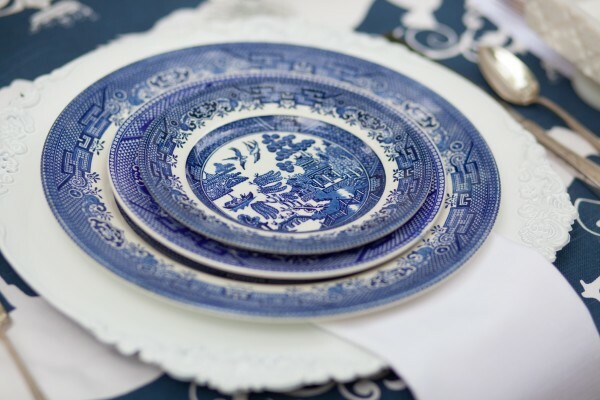 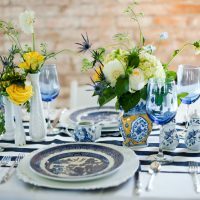 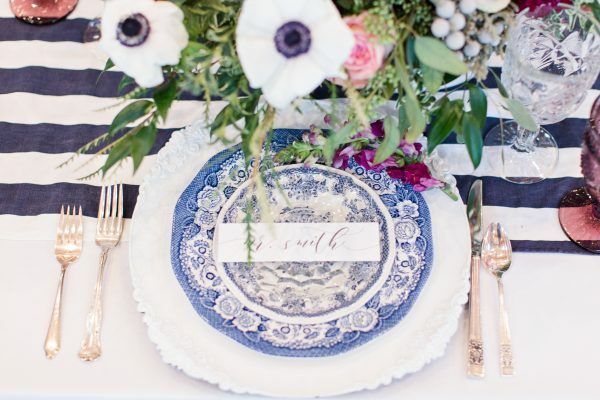 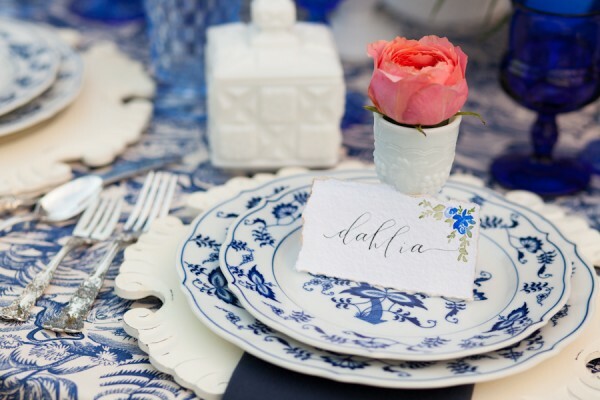 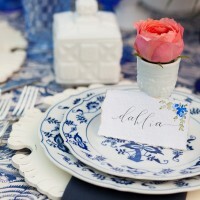 Iconic Blue and White tablescapes for your event. 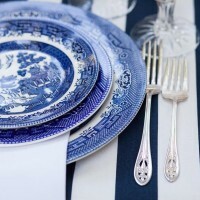 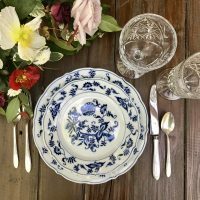 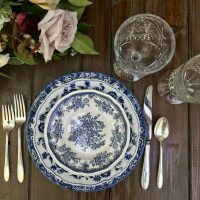 Dixie Does Vintage has acquired and curated an amazing collection of blue and white china, glassware, brass, flatware, sticks, vessels, and other unique tabletop accessories. 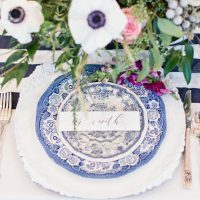 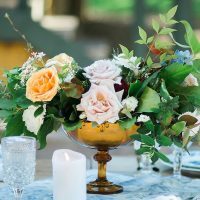 We think reception tables look so much more interesting when artfully set and each tablescape is unique and different. 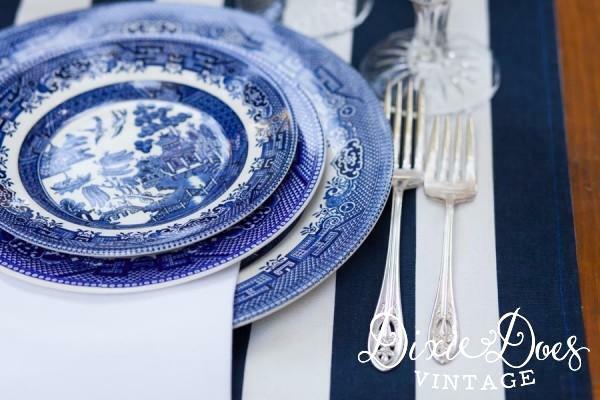 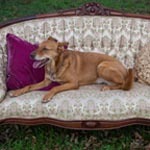 Let Dixie Does Vintage help you design and style the “LOOK” you want or have found on pinterest for your Wedding! 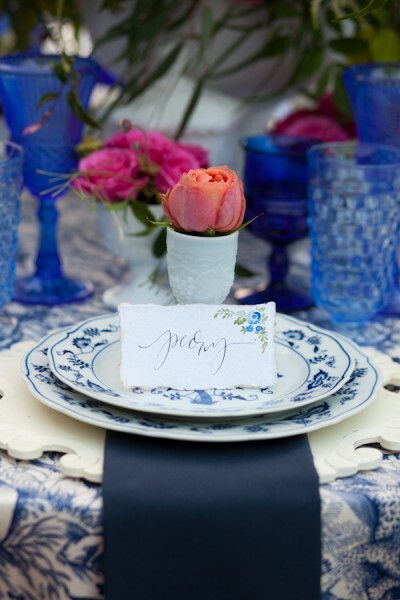 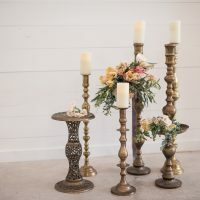 We love styling head tables, reception tables, or any other areas of your event. 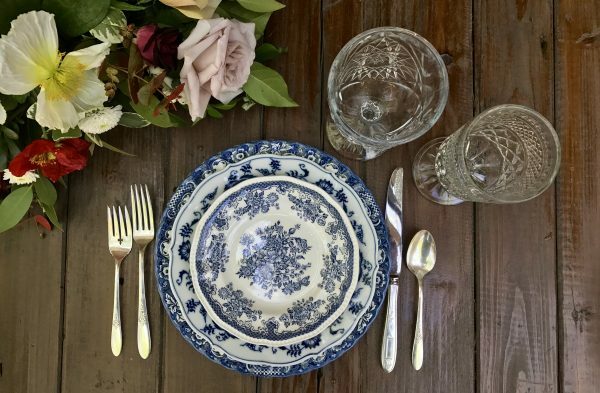 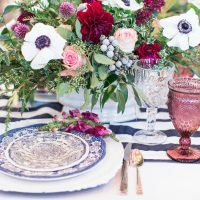 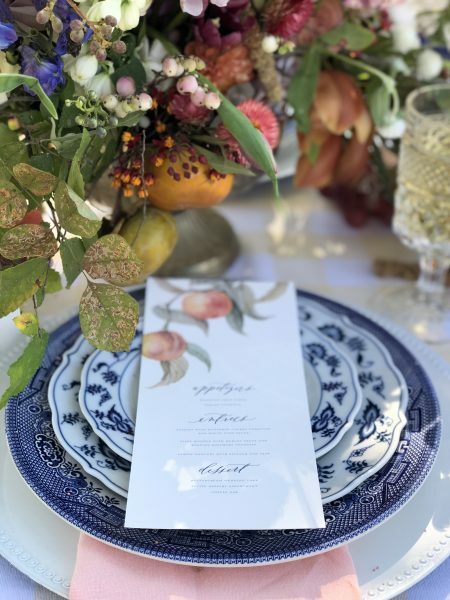 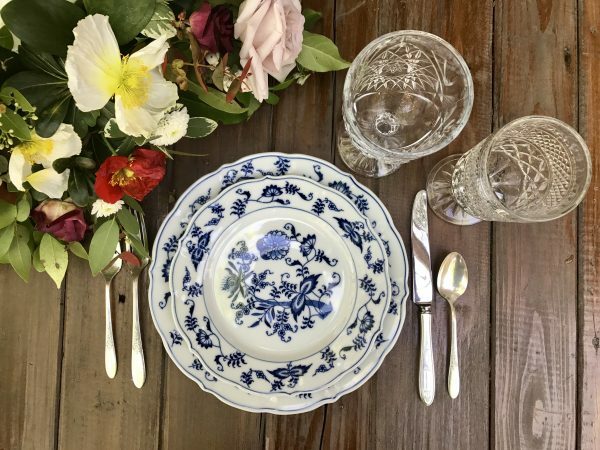 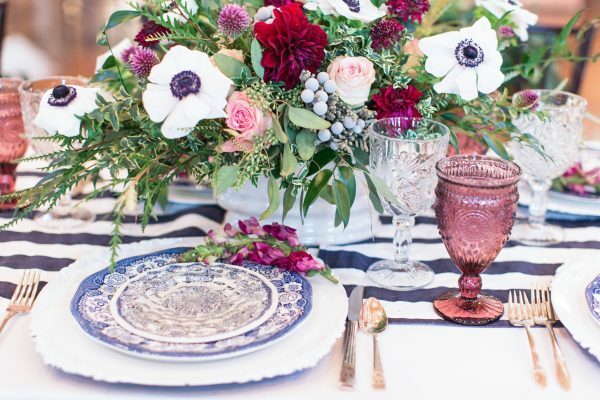 Our provocative stash of vintage china and tabletop adornments will set your wedding, event, or special affair apart and keep your guests talking long after the party is over! 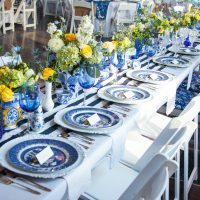 Let us design the head table of your dreams- or bring your vision to life!